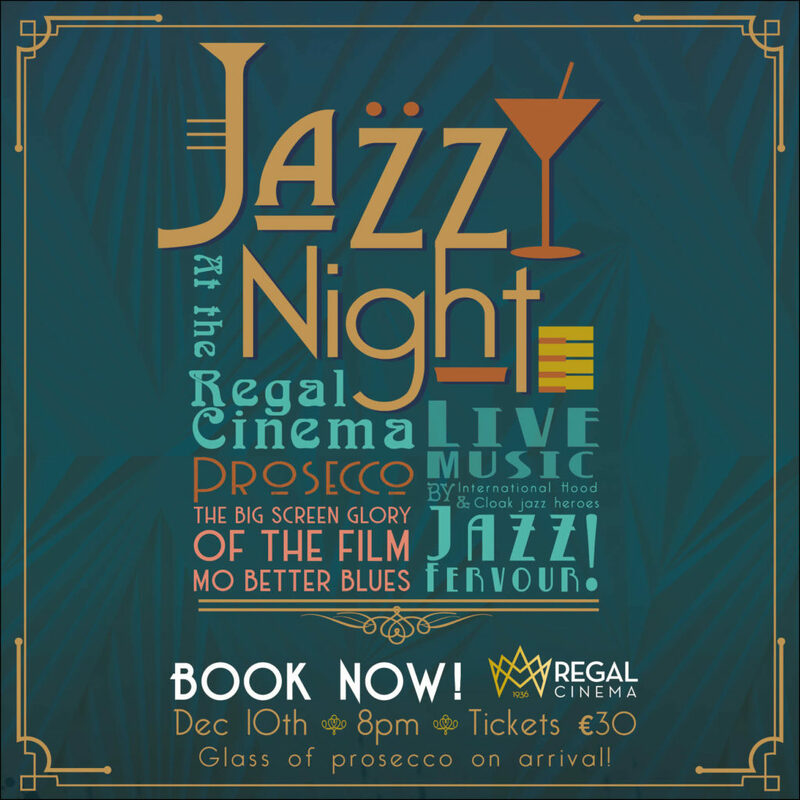 Live music makes a triumphant return to the Regal Cinema Youghal. Enjoy a full night of musical entertainment in the majestic surroundings of the Regal Cinema’s main auditorium. A chilled glass of Prosecco awaits your arrival, followed by the electrifiying Spike Lee film, Mo Better Blues, in all its exhilarating big screen glory. The night continues with two hours of wonderful jazz from international hood and cloak jazz heroes, Jazz Fervour!. Exquisite wine and cocktails are available to enjoy throughout, from the Regal Wine Bar & Café. This promises to be a truly memorable and wonderful evening so book early to avoid disappointment.